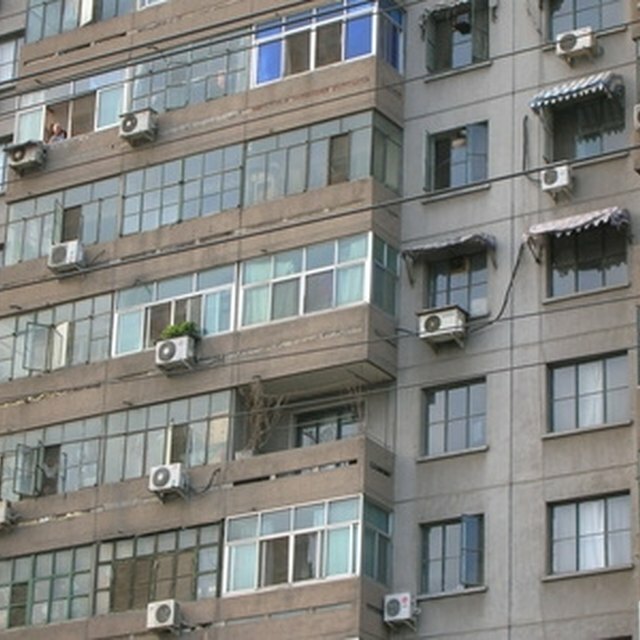 Air conditioners that cycle on and off often are reacting to one or more of several problems. Some are "operator error," meaning the temperature has been set to a lower temperature that can be achieved. Since air conditioners only work on the settings you dial-in, they'll work to achieve those settings. This can lead to freezing the compressor unit, burning the fan motor, or other mechanical failures. Begin troubleshooting looking for the most simple cause and working to more elaborate problems. Check all doors and windows to see if any have been left open or ajar. When cool nights allow you to kick the air conditioning off, you may open windows to let fresh air circulate, forgetting to close them in the morning as the sun begins to warm the room. In addition, move any blinds or drapes away from the unit to allow the free flow of air. Obstructions such as these will cause the unit to cycle too much. Check the temperature setting. If the thermostat has been set to 68 degrees Fahrenheit and the room's temperature is over 80 degrees, the unit will continue to run in almost uninterrupted cycles until the thermostat reads 68 degrees. Read the owner/operator's manual to find the recommended square footage for the unit. If you're attempting to cool an area that exceeds the manufacturer's suggestions, the unit will cycle often in an attempt to achieve the thermostat setting. Turn the air conditioner off. Remove the filter from the unit and vacuum it to remove dust and debris. Soak the filter in a mixture 1/2 cup of vinegar with the same amount of water for an hour. In the alternative, use a mild detergent. Allow it to dry completely before putting the filter back in the unit. Don't cook or use heat-producing appliances while operating the air conditioner during the warmest hours of the day -- usually between noon and 3 p.m.